My name is Evan Cohen. I’m the founder of LiveLyfe, the largest social network on the planet. Now I’m looking for something new to challenge me, another way to change the world all over again. I don’t like being in the public eye, so I need a partner. And now I’ve found one: Rebecca, with her stupid blog and devoted fans. My friends think I’m making a mistake, hooking up with a woman who’s been hurt so much she’s a ticking time bomb—and they’re right. Rebecca’s a loose cannon with a big mouth and no filter, and she’s a threat to everything I’ve built. But I can’t stay away from her. 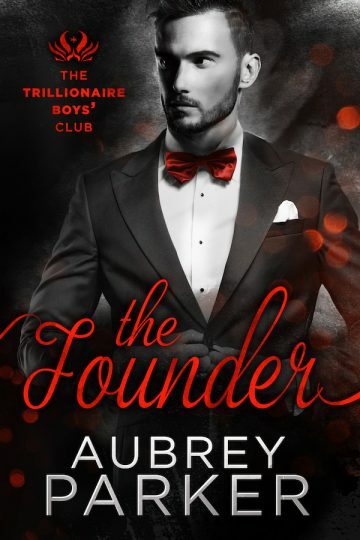 The Founder is part of the Trillionaire Boys’ Club series by Aubrey Parker. Each book tells the story of another of the Club’s powerful members … and you’re going to want to collect them all.